This past Sunday was the day that many people celebrate as the Epiphany. The recognized date of the Epiphany was actually a few days before on January 6th, but this was the first “Sunday-go-to-Church” day after the real day. At First Baptist Austin, our Senior Pastor, Griff Martin, led us in a very neat Epiphany exercise. The church’s children passed around baskets of laminated paper stars with a single word written on each star. We all reached in and picked our star without looking. The word on the star is the word that’s supposed to be “our word” for this year. Like the star in scripture, it’s supposed to guide us. And we’re supposed to be stars and guide others. Griff told about a friend that’s a pastor at a church in Baton Rouge. Her church did this exercise previously. One year, his friend’s husband had terminal cancer. As sick as he was, he wanted to go to church for his last Epiphany service. When he picked his star, his word — the word of this dying man — was “Freedom”. When she picked hers, her word — the word of a woman soon to lose her spouse — was “Acceptance”. According to our pastor, things happen mysteriously and you get the word you’re supposed to have. Well, I got the word I’m supposed to have: “Unity”. The 85th Regular Session of the Texas Legislature starts today. The division, arguments and fights are already being defined. In a few more days, a new President will be inaugurated after a very difficult election. Our country and state seem so divided on basic, human, common-sense issues. 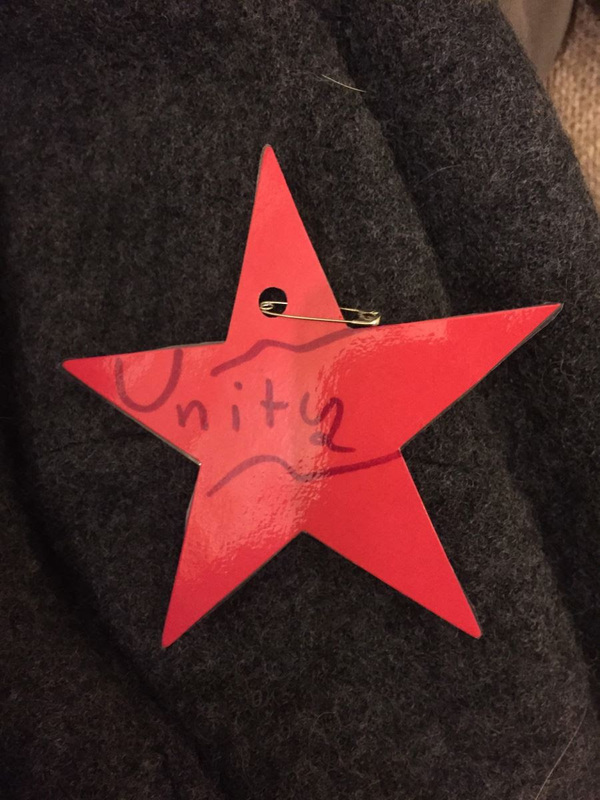 So, as I start a new year and a new legislative session, I’ll do my very best to follow the star of unity, and I’ll try equally hard to be a guide to unity.